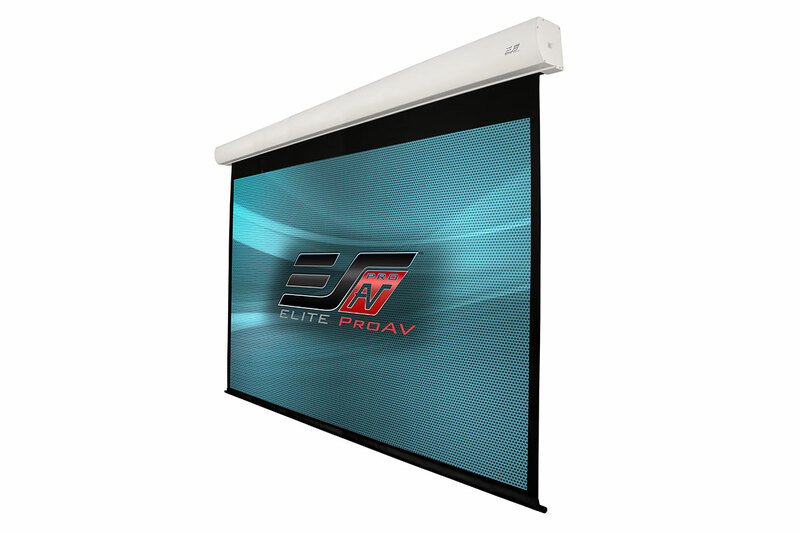 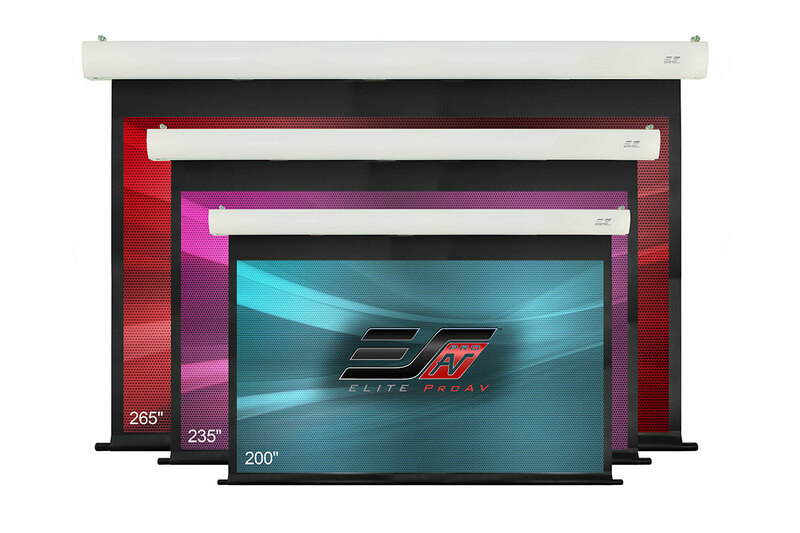 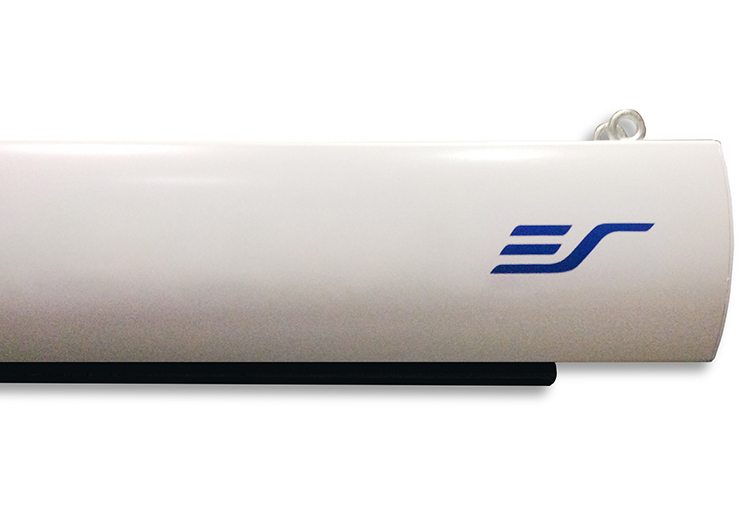 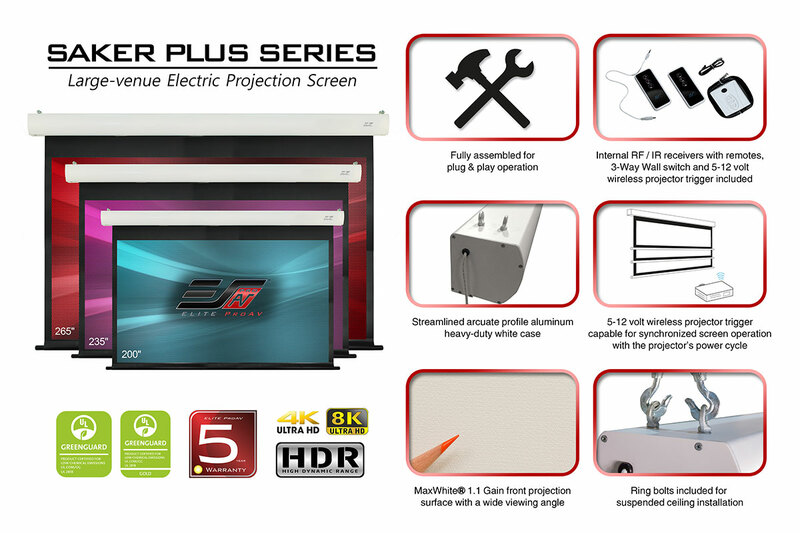 Saker Plus Series - EliteProAV - Providing an array of dedicated commercial grade projector screens to professional integrators. 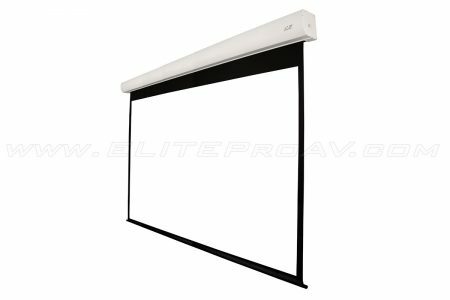 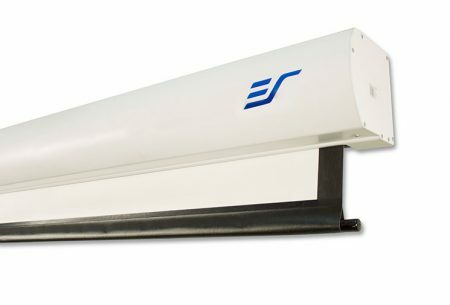 The Saker Plus Series is a commercial grade electric projection screen suitable for big rooms. 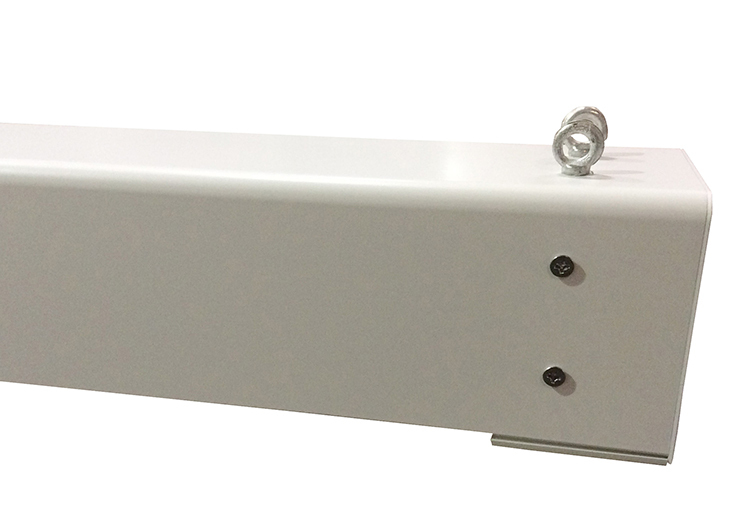 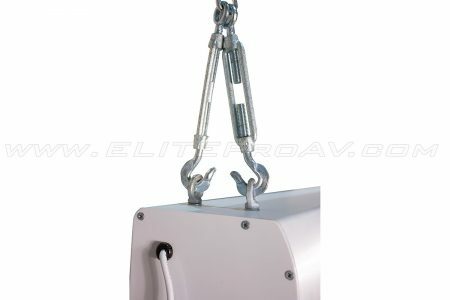 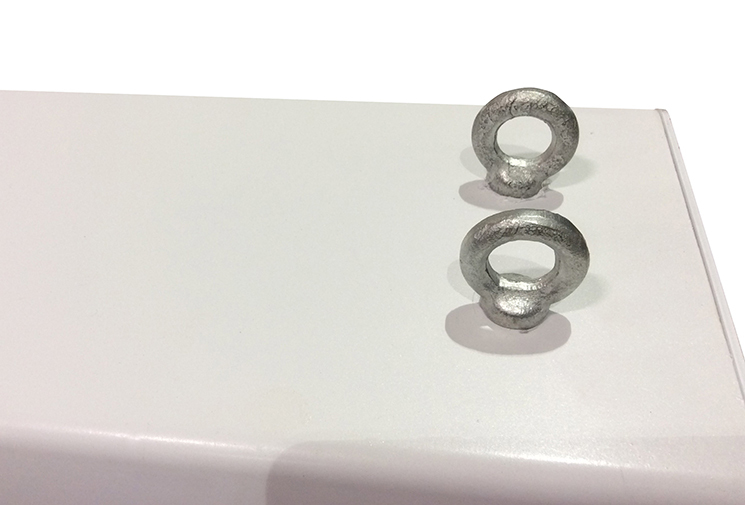 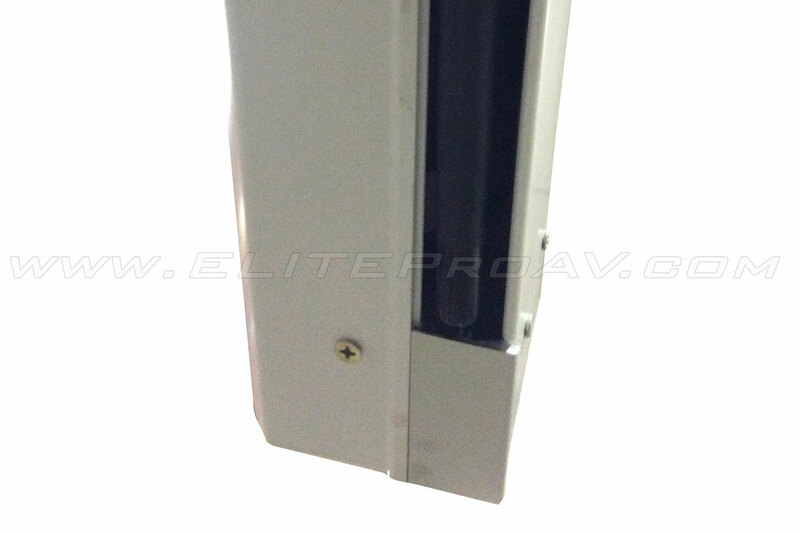 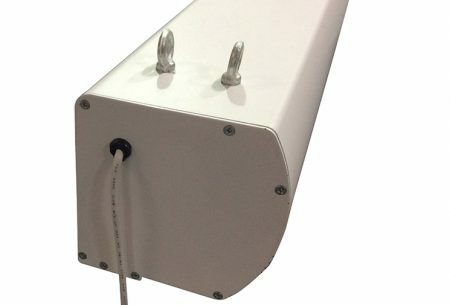 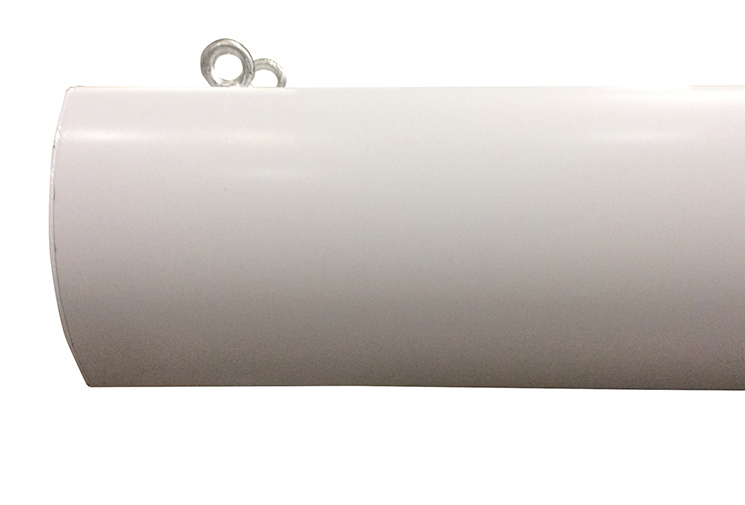 It consists of an aluminum heavy duty housing that permits a suspended ceiling installation using a pair of eye-bolts on each end of the case. 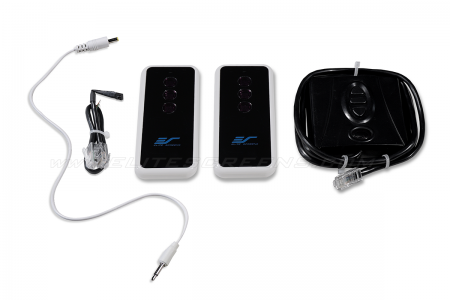 Its list of complimentary features include Infrared and Radio Frequency remote controls, a wireless 12 volt projector trigger and a detachable keypad switch for Up/Stop/Down control. 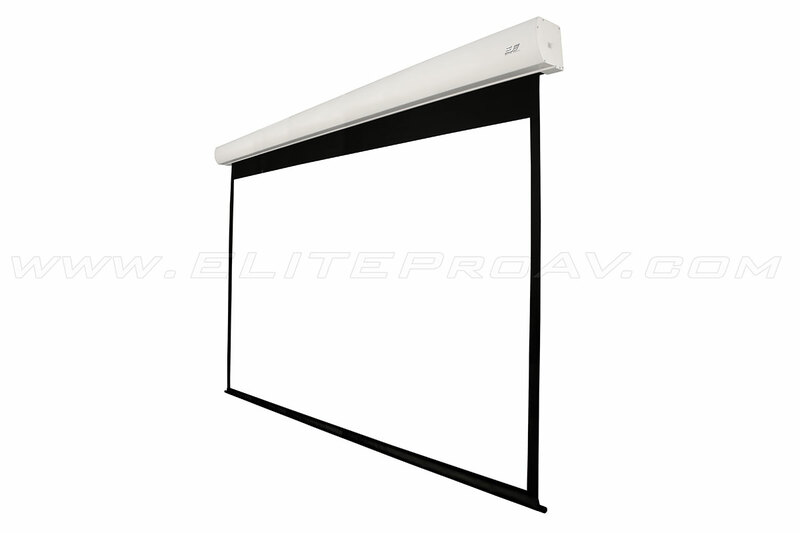 The MaxWhite® front projection material is GREENGUARD® Gold Certified. It has a wide viewing angle and a 1.1 gain reflectivity. 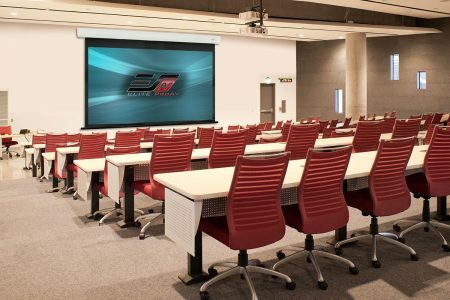 The Saker Plus is ideal for auditoriums, gymnasiums, or any other large venue indoor environments.